Did you know that more than 80% of online searches being conducted on mobile devices are for local businesses? Many of these people searching for local businesses are also using new voice search methods too. In order for people to find your local business, Google My Business (GMB) is a great tool to use to optimize your local business presence online. Google recently made updates to its Google My Business app you need to know about to improve local optimization strategies. Tapping into these can not only make it easier for people to find your business, but also improve your search engine optimization (SEO) rankings. In the past, restaurants were the only businesses that had access to this tool. 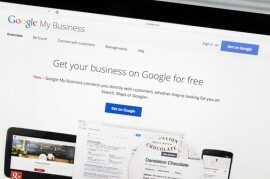 Now, Google has made it available to all businesses. The “menu” feature can be used to add services, products, or other such things you want to feature on your business listing. Another new feature added is the ability to enable questions and answers right through your GMB listing. Rather than requiring people to email or call your business, they can submit questions right through the GMB listing. Any questions you answer will remain active so others can see responses. With this feature, you can allow customers to text message you directly and have those messages sent to your smartphone or other such device. You can respond to them from your device and it is sent through your GMB console. Additionally, you can create and enable auto replies when you are not available to take messages. You can create posts and enable them as you to enhance your exposure in local search results. You can customize the posts with images, call to action buttons, and other such features. Many local businesses use this tool to market special events, promote daily specials, or highlight specific products and services, and more. This is a free tool your small business can use to build a website and easily manage it. There is an additional charge if you want to link it to a customized domain address. Any sites built with the tool are automatically mobile friendly. This feature allows you to tap into Google Reviews and use them to generate marketing materials and posters you can use for various campaigns. You can also share them on social media pages to highlight your best reviews from happy customers. For assistance in enabling these GMB tools or help establishing a sound SEO strategy to increase your local presence online, please feel free to contact the SEO experts at Webryze by calling (416) 900-1047 today!